Do your kids love Emoji’s? 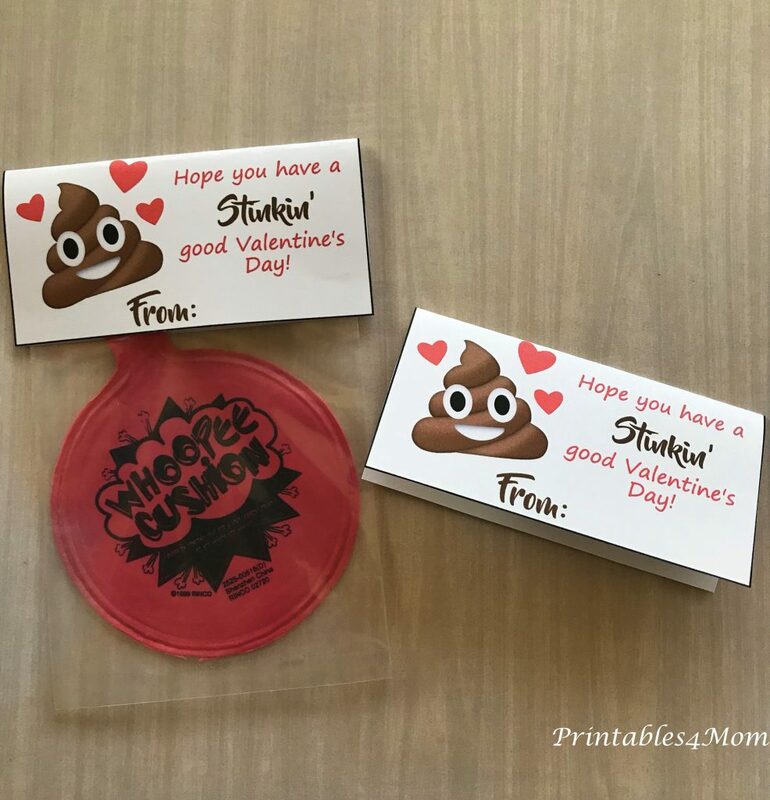 Grab these awesome Poop Emoji Whoopee Cushion Valentine’s! These Valentine’s are simple to put together and they’re sure to be a hit! 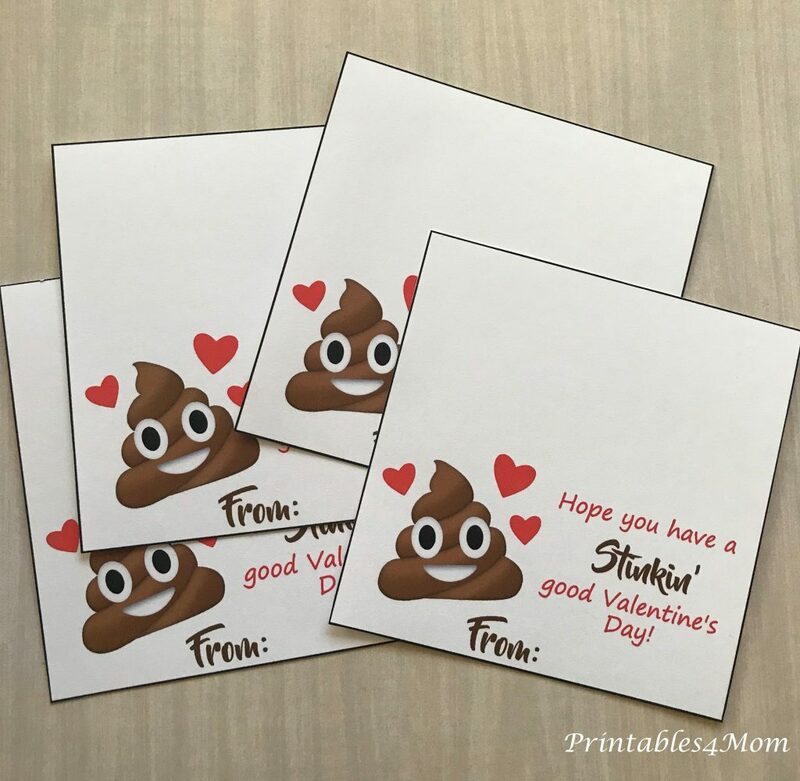 Grab the free printable and make your own set of Poop Emoji Valentine’s. We try to make Valentine’s every year. 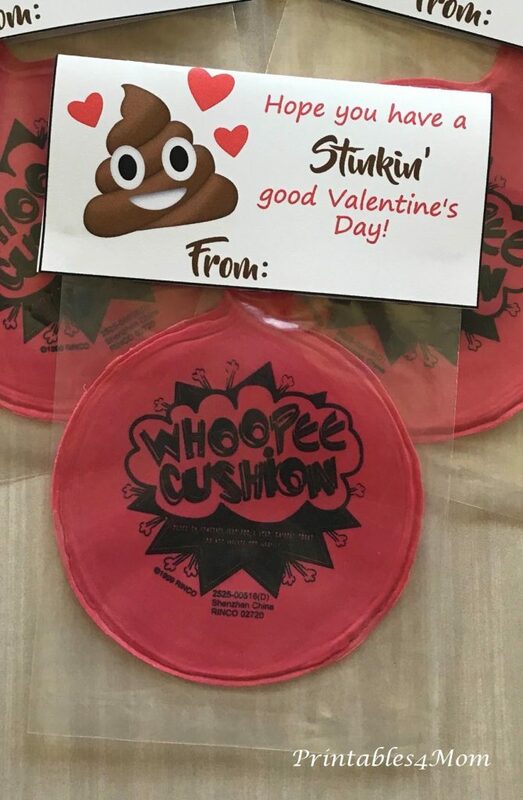 Living in a small town, our options are limited, and everyone usually ends up getting several of the same Valentine’s. 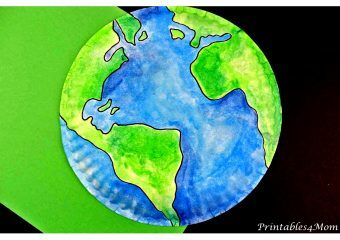 Thankfully, DIY Valentine’s Day cards are fairly easy and quick with free printables! 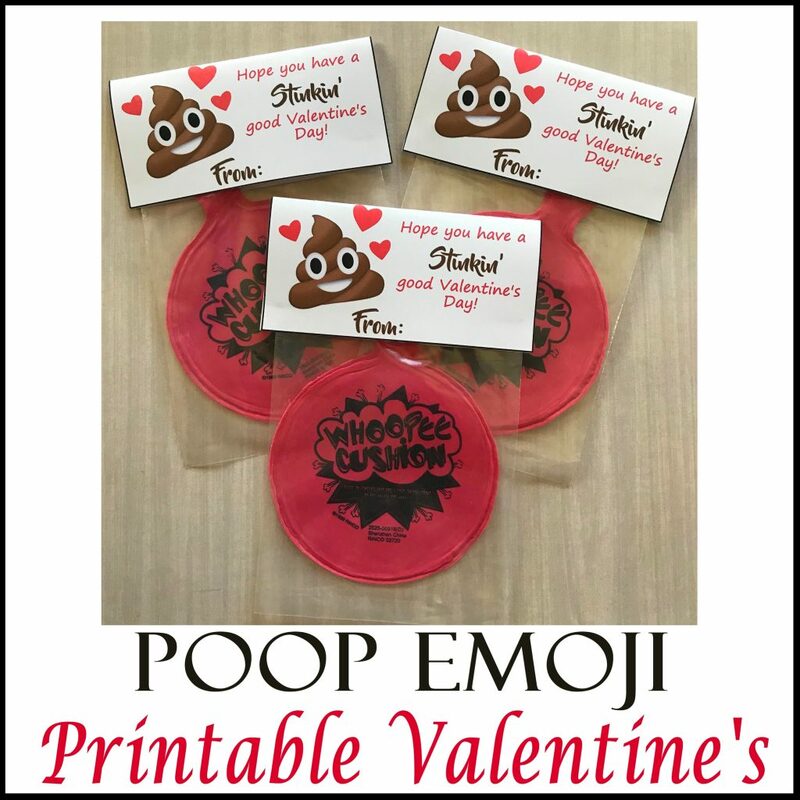 This year, my son wanted Poop Emoji Valentine’s, so we created some fun treat bag toppers. 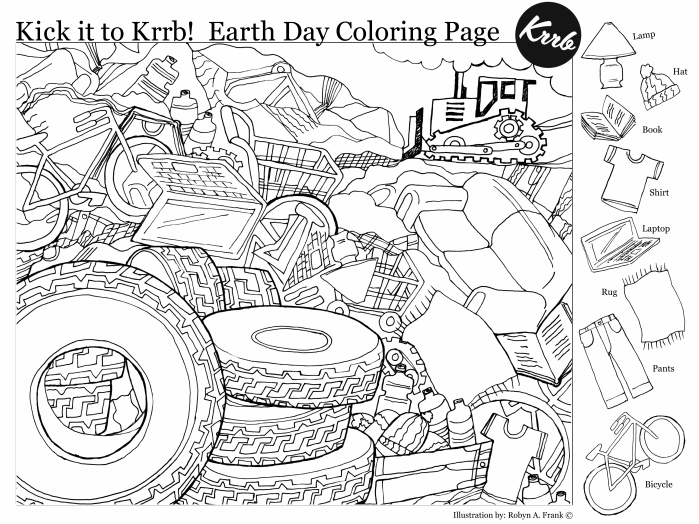 They can be added to bags of candy, Emoji pencils or anything else you can think up. My son asked for whoopee cushions and I was able to find these Mini Whoopee Cushions toys on Amazon. Aren’t they perfect?! 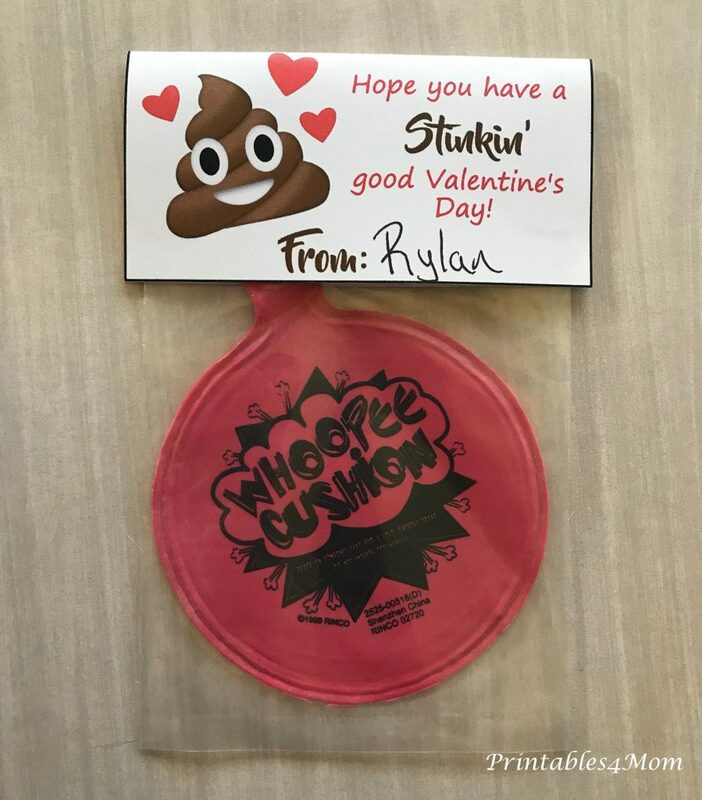 We are so happy with how these Valentine’s turned out and he can’t wait to pass them out to all of his friends! To make your own set of Emoji Valentine’s grab the printable below. 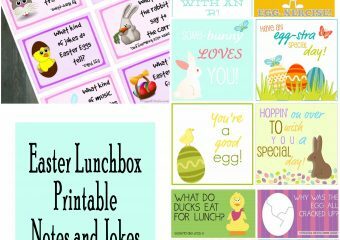 Print your Valentine’s from home using 8.5″ x 11″ white cardstock or send the file to your local print lab (Walgreens, Staples, etc) to have them printed for you. These cards will print four to a sheet. After you’ve printed out your valentine’s, simply cut each one out, sign and share!